When you’re in the market for premium roofing repairs in Dublin, GA, Raborns Roofing & Restorations is the company to call. We are thrilled to offer thorough roofing services to the many roofing systems in the area. 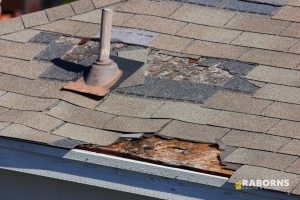 From replacing a missing shingle to a complete replacement of the entire system, we’re the guys for the job. We tend to all roofing types, for commercial and residential. So give us a ring today at (706) 814-3207 to converse with our roofing specialists in Dublin, GA.
Not finding the service you’re needing on list above? Don’t worry! Call us at (706) 814-3207. Our skilled team is here to help you in any and every way we’re able. At Raborns Roofing & Restorations, we do our absolute best to deliver all of our customers with the best roofing services in Dublin, GA. Not only that, we want to ensure that the complete process is as worry free as possible. whole process and are certain to leave the space as spotless as we previously found it.|Once we’ve completed the full inspection, we discuss our findings and recommendations with you, and get started as soon as your schedule allows us to. We think each of our customers are to have access to better best roofing services available. Our roofing technicians are here to provide you with top rated services for both residential and commercial roofing systems. Your complete satisfaction is our top for us. In the end, if you you are not happy, we are not done. Whenever you need a roofer in Dublin, GA that you’re able to rely on, make sure that you reach out to the professionals at Raborns Roofing & Restorations. Dial (706) 814-3207 to reach us ASAP!